You are currently browsing the tag archive for the ‘2018’ tag. Last week, I wrote ‘Senate Intelligence Committee: “no direct evidence of conspiracy between Trump campaign and Russia”‘. On Sunday, former FBI deputy director Andrew McCabe appeared for a half-hour on CBS’s 60 Minutes in an interview with Scott Pelley. McCabe is currently doing a book tour to promote The Threat: How the FBI Protects America in the Age of Terror and Trump. criticize former FBI Deputy Director Andrew McCabe for approving a leak of information about the Hillary Clinton investigation to The Wall Street Journal, The New York Times reported late Thursday. According to the Times, which cited four people familiar with the investigation into the department’s handling of the Clinton probe, McCabe will be censured for disclosing the investigation’s existence to the Journal. The Journal report in question, which was published Oct. 30, 2016, recounts a conversation in which McCabe sparred with a senior Justice Department official over an investigation into the Clinton Foundation. The Journal — which cited sources including “one person close to Mr. McCabe” — said McCabe insisted that the FBI should move forward with its investigation, while the Justice Department official expressed concern about its potential effect on the presidential election. McCabe, a frequent target of President Donald Trump’s ire, left his position as FBI deputy director in January and is scheduled to retire later this month. He had served for several months as acting director following Trump’s firing last May of FBI Director James Comey. Trump verbally attacked McCabe during the campaign and again as president because McCabe’s wife, during a failed state Senate run, had accepted campaign contributions from the political action committee of then-Virginia Gov. Terry McAuliffe, a close Clinton ally. David J Harris Jr and Real Clear Politics have more detail, dating from January 2018. Former FBI Deputy Director Andrew McCabe is holding onto his pension just days before he is set to officially retire. McCabe was at the Justice Department to meet with Scott Schools, the most senior career attorney in the department, as well as other officials, for a majority of the afternoon Thursday, to make a case why he should be allowed to retire and not be fired. Schools reports to Deputy Attorney General Rod Rosenstein, who in turn reports to Attorney General Jeff Sessions. The decision to fire McCabe before Sunday, and thus strip McCabe of his full pension and benefits, is in Sessions’ hands. So, This Lying, Leaking, Lawless LOSER Is Pleading To The DOJ Today To Keep His Pension? WE, The Taxpaying Citizens Demand This CRIMINAL Receive NOTHING And Be INDICTED For His CRIMES!! Andrew McCabe has been fired. 26 hours before his pension would have fully kicked in. If McCabe is fired, it is believed his only avenue of appeal would be to file a lawsuit to try to reclaim his pension. I hope that FBI Director Christopher Wray received all of McCabe’s documentation about the 2016 election. I am told yesterday McCabe felt the heat and went to try and save his last two days and even told some he would take people down with him if he as fired. So…let’s see what comes of this. I know this…a ton of agents…a ton…were watching this very closely. On March 17, The Hill, among other media outlets, noted that McCabe’s weekend statement seemed to contradict James Comey’s testimony from May 2017 about relaying sensitive information to the media. News emerged that McCabe wrote memoranda of his conversations with President Trump and gave those to Robert Mueller. CBS reported that details of James Comey’s firing were included. Fox News correspondent Adam Housely said that McCabe’s dismissal was a morale boost to FBI agents. That Comey, McCabe, and others have practiced an obvious double standard in the email case of Hillary Clinton where ample evidence caused 106 of the case agents and attorneys working on the case to believe indictment would occur, and simultaneously going to such extraordinary measures through the assistance of essentially Hillary’s campaign operation to attempt to thwart the outcome of the election is more than enough reason to go after them on a criminal basis alone. That McCabe reportedly lied to the low key Inspector General, while attempting to send General Michael Flynn to prison for lying to the same FBI is of highest hypocrisy. Before McCabe was fired, Reddit had censored discussions about his ‘corruption issues’. Now that he was gone, they could be discussed freely once more. The report says that McCabe authorized the leak and then misled investigators about it, leaking in a way that did not fall under a “public interest” exception. Questions arose in Congress. The Gateway Pundit reported that Senate Judiciary Chairman Chuck Grassley (R-Iowa) wanted answers about the FBI’s treatment of General Flynn. … an indication the probe into whether he misled officials exploring his role in a controversial media disclosure has intensified, two people familiar with the matter said. The grand jury has summoned more than one witness, the people said, and the case is ongoing. The people declined to identify those who had been called to testify. The presence of the grand jury shows prosecutors are treating the matter seriously, locking in the accounts of witnesses who might later have to testify at a trial. But such panels are sometimes used only as investigative tools, and it remains unclear if McCabe will ultimately be charged. A spokesman for the U.S. attorney’s office in D.C., which has been handling the probe, declined to comment. “Unfortunately, such pressure has continued, with the President targeting Mr. McCabe in numerous additional tweets,” Bromwich said. The lawyer also raised questions about the timing of the news report on the grand jury. Specifically, McCabe was fired for lying about authorizing an F.B.I. spokesman and attorney to tell Devlin Barrett of the Wall St. Journal – just days before the 2016 election, that the FBI had not put the brakes on a separate investigation into the Clinton Foundation, at a time in which McCabe was coming under fire for his wife taking a $467,500 campaign contribution from Clinton proxy pal, Terry McAuliffe. In order to deal with his legal woes, McCabe set up a GoFundMe “legal defense fund” which stopped accepting donations, after support for the fired bureaucrat took in over half a million dollars – roughly $100,000 more than his wife’s campaign took from McAuliffe as McCabe’s office was investigating Clinton and her infamous charities. I wrote this book because the president’s attacks on me symbolize his destructive effect on the country as a whole. He is undermining America’s safety and security, and eroding public confidence in its institutions. His attacks on the most crucial institutions of government, and on the professionals who serve within them, should make every American stand up and take notice. Peter Doocy just said on Fox News that it was a heated exchange between McCabe and Rosenstein, McCabe wanted to investigate the President even more and Rosenstein incredulously said "What do you want me to do, wear a wire?" A few weeks earlier, President Trump had intended to declassify various unredacted documents. By September 22, he had backtracked. The DoJ advised him that declassification could harm the Mueller probe. In addition, US allies warned against declassification for security reasons. Trump instructed IG Horowitz to review them instead. Had Deputy Attorney General Rod Rosenstein any influence on Trump on this subject? Declassification would have been a huge risk for Rosenstein — and McCabe. Nunes and other House Republicans have also led a push to get President Donald Trump to declassify and release documents related to the FBI and Justice Department’s collusion investigation. It also transpired that McCabe and Rosenstein were feuding via the media. McCabe represented the faction that wanted to end Trump’s presidency. Rosenstein represented the people currently at the DoJ and FBI. Rosenstein was using the Washington Post to get his story out. McCabe was using the New York Times. Rosenstein denies the NYT story. Baker’s story lays bare an extraordinary conversation in which at least some senior FBI officials thought it within their purview to try to capture the president on tape and then go to the president’s own Cabinet secretaries, hoping to persuade the senior leaders of the administration to remove the president from power. The following day, the Washington Post published an article outlining the tension between McCabe and Rosenstein. The FBI higher-ups did not like that Rosenstein had recommended in writing that President Trump fire James Comey. DoJ officials did not like that the FBI, McCabe in particular, opened an investigation on Trump immediately after Comey’s departure. WaPo reported that the two quarrelled shortly after Robert Mueller was appointed — in front of him. Rosenstein, incidentally, had allegedly already made his ‘wear a wire’ comment. Rosenstein wanted McCabe out of the Russia probe, and McCabe felt differently, arguing that it was the deputy attorney general, not the head of the FBI, who should step away from the case. The Rosenstein-McCabe relationship has come under renewed scrutiny as lawmakers have demanded answers about memos written by McCabe and his then-senior counsel, FBI lawyer Lisa Page, about the discussions on May 16, 2017, in which McCabe wrote that Rosenstein suggested recording the president and discussed the 25th Amendment. Rosenstein was due to meet that week with The House Judiciary and Oversight and Government Reform committees about the DoJ, but the meeting never happened. McCabe was fired by Deputy Attorney General Rod Rosenstein in March, less than 48 hours before his retirement day because of “allegations of misconduct” found by the Justice Department’s Office of the Inspector General. McCabe, has disputed the IG report, and is now the subject of a grand jury inquiry. According to the FBI’s employment agreement, all disclosure of information must be reviewed and adhere to the FBI’s “Prepublication Review Policy Guide,” made official in 2015. Although there is more to cover on McCabe, this is a good point at which to bring us to the present day. Is this the first time President Trump has tweeted the letters ‘t-r-e-a-s-o-n’? Remember this, Andrew McCabe didn’t go to the bathroom without the approval of Leakin’ James Comey! Had the opposition party (no, not the Media) won the election, the Stock Market would be down at least 10,000 points by now. We are heading up, up, up! We can only hope that the tables start turning soon. Perhaps the new attorney general, Bill Barr, will set things in motion. Over Christmas, I received one message from a loved one worried that President Trump will lead the US into war. It was a bit surprising, as he had already laid out his policy to withdraw from Syria and would begin a troop draw-down in Afghanistan. That said, my loved one is a faithful MSNBC viewer. I have tried but cannot persuade her to get news from other sources. I am the only person in America who could say that, “I’m bringing our great troops back home, with victory,” and get BAD press. It is Fake News and Pundits who have FAILED for years that are doing the complaining. If I stayed in Endless Wars forever, they would still be unhappy! And so much more – onward to 2019! President Trump’s been remarkably successful in a short time — through legitimate means. Democrats and the media relentlessly peck at him for his brash personal style and reflexive tendency to punch back via tweet, but if the success of a president is measured in actions performed, Trump rates extremely high. It’s important to look back at Donald Trump’s personal history through his outstanding career in real estate. He knew anybody who was anybody. He went to all sorts of parties and receptions. People told him all manner of secrets in conversation. The important thing to remember here is that Donald Trump does not drink. Nor has he ever used drugs. So, he remembers all sorts of details about what people — his friends, at the time — told him. He won the election he was not supposed to win. He became the leader of the free world, in traditional parlance. At some point, however, one has to question the abject hatred. Is it just about President Trump — or is it about something more? Because it’s about more than Trump. All of the legislators have been on holiday, except for one, a Republican. Here is a pic of Nancy Pelosi going for a beachfront walk in Fairmont, Hawaii while our government is shut down and our border remains wide open for illegal aliens who wreak crime on our country@realDonaldTrump remains in White House working! So, when the Democrats rail against President Trump come January 3, remember why the media and political elite — including his own Republicans — are doing so. They are being duplicitous in their rants. Regardless, 2019 promises to be a ‘fantastic’ one for the United States, and, by extension, the world! Perhaps less so for the president’s detractors. If we want peace in the world, we need to continue to pray for President Trump’s safety and well-being. On Thursday, December 27, the good Lord took Richard Arvin Overton, America’s oldest veteran and living male, to his heavenly rest. Mr Overton was 112 years old and died of pneumonia-related complications. A God-fearing churchgoer, he was of the old school in his daily habit of smoking Tampa Sweet cigars — up to 12 — and enjoying whisky. He was still driving a car at the age of 109. Overton gained media attention during the 2013 Memorial Day weekend when he told Fox News he would spend his Memorial Day “smoking cigars and drinking whiskey-stiffened coffee.” On that same Memorial Day, Overton met with Texas Governor Rick Perry. Overton was also invited to the White House where he met with President Barack Obama, and to the Veterans Day ceremony at Arlington National Cemetery, where he was singled out by name for praise by the President. During an NBA game between the San Antonio Spurs and the Memphis Grizzlies on March 24, 2017, Overton was honored during a half-time break. Overton is the subject of a 2016 documentary, Mr. Overton, in which he is interviewed about his daily routine, thoughts on his longevity, and his military service. On May 3, 2016, he became the oldest surviving American veteran after the death of Frank Levingston. 111, that’s pretty old, ain’t it. I can still get around, I can still talk, I can still see, I can still walk. His home city of Austin — the Texas state capital — even officially designated his birthday as Richard Overton Day. How cool is that? Richard Overton was born to Gentry Overton, Sr. and Elizabeth Franklin Overton Waters on May 11, 1906, in Bastrop County, Texas. He was a great grandson of John Overton Jr., whose father served as a political adviser to President Andrew Jackson. Overton enlisted into the U.S. military on September 3, 1940 at Fort Sam Houston, Texas. He served in the South Pacific from 1940 through 1945, including stops in Hawaii, Guam, Palau and Iwo Jima. He left the U.S. Army in October 1945 as a technician fifth grade. He earned several service medals, including the Meritorious Unit Commendation, the US Army Good Conduct Medal, the American Campaign Medal, the Asiatic-Pacific Campaign Medal and the World War II Victory Medal. After the war ended, Overton worked in furniture shops before taking on a position with the Texas Department of the Treasury, as it was known at the time. He married twice and had no children. In 2016, his relatives launched a GoFundMe campaign so that he could continue to live in his own home rather than go to an assisted living facility. The GoFundMe campaign was wildly successful and raised more than $200,000 as of 2017. Biography says that Home Depot and Meals on Wheels also made their own donations. Ultimately, Richard Overton was able to have his house refit to accommodate his changing health circumstances and enable round the clock care at home. His funeral will take place in Austin on January 12, 2019; KXAN has details. His house could well be turned into a museum — his dying wish. Richard Overton honoured God, his country, his family and his fellow citizens. Let's take a moment to thank and celebrate the life of Richard Overton the nation's oldest living veteran whose passed away this evening at age 112. … other than to add: may he rest in peace. President Donald J Trump and First Lady Melania Trump gave a Christmas message on December 25, taking turns in relating the Nativity story and how this season brings out the best in the American spirit of giving to and caring for others. They also remembered those who serve in the military. On Christmas night, America’s first couple travelled to Iraq to meet and greet US troops serving there. Contrary to what Big — Fake — Media say, this trip would have been planned weeks, if not months, in advance. To be clear: I was referring to the most recent Iraq war that began in 2003. Trump in Iraq: "It's time to get our young people out. And I've been signing plenty of letters and I don't like sending those letters home to parents saying that your young man or your young woman has been killed." "I don't like doing it. We've been doing it long enough." Trump in Iraq: "These people are going to have to start doing a lot of their own work and they're going to have to start paying for it because the United States cannot continue to be the policeman of the world." Mrs Trump is wearing leather trousers, by the way — not a miniskirt. In closing, everyone involved put together a painstakingly involved, whistle-stop overseas tour that, thankfully, went beautifully and brought all concerned home safe and sound. For that, we can thank divine providence. The choir of King’s College Cambridge opened with a beautiful rendition of the National Anthem. spoke to the needs of the times. She noted that the service, watched by millions around the world every year, begins with a chorister’s solo of the first verse of Once In Royal David’s City. The Queen’s Christmas Message ended with just such a solo. This video is well worth watching for the choral music alone — unsurpassed! The Queen went on to speak of the great events of the past year, including the Royal Family, with its two weddings and two births that took place this year. She noted that the Prince of Wales celebrated his 70th birthday this year. Through the many changes I have seen over the years, faith, family and friendship have been not only a constant for me but a source of personal comfort and reassurance. ‘lies in the bonds of affection it promotes’ and a ‘common desire to life in a better, more peaceful world’. She also acknowledged the tireless work of the British Armed Forces stationed abroad at Christmas. is “needed as much as ever” and also called for people treat others with respect, even in situations where there are “deeply held differences”. I always look forward to hearing what the Queen has to say. This year’s message did not fail to impress. It is not often that President Trump’s genius son-in-law Jared Kushner, his senior adviser, gives an interview. Hannity was very good and did not interrupt once. Jared Kushner speaks in complete sentences, which is a rarity in today’s English-speaking world, especially the US. His main points were about the necessity for prison reform and achieving a far-reaching, peaceful solution in the Middle East. This is well worth watching. Who knows when he will appear again on the airwaves? Sean Spicer, President Trump’s former press secretary, tweeted this USA Today editorial about what it is like caring for her veteran husband, disabled after he stepped on an IED in Afghanistan, and doing battle with the Department of Veterans Affairs (VA). The VA has been in very bad shape for decades. Under the Trump administration it is gradually improving, but there is still a long way to go. Please remember these veterans and their families in your prayers this Christmas season. Thank you. On Wednesday, November 28, 2018, President Donald Trump and First Lady Melania Trump participated in their second ceremonial lighting of the National Christmas Tree in Washington, DC, near the White House. Wednesday, 28 November 2018#POTUSSchedule #POTUS #WhiteHouse #WestWing #1600Daily #MakeAmericaGreatAgain #MAGA#KAG! 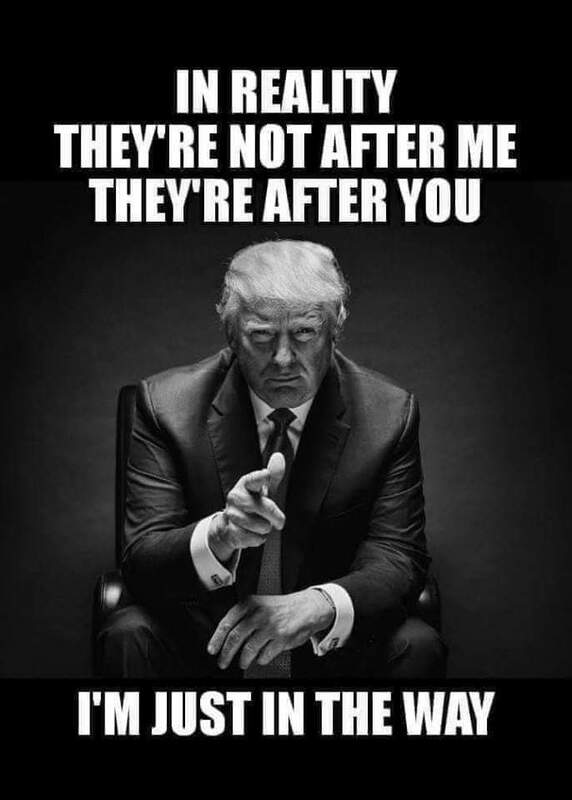 #KeepAmericaGreat! These, by the way, are traditional Dominicans, not the ones who have gone trendy in recent years. These women are doing very well in expanding their community. This is one of the orders women want to join. May God bless them in their work. For Christians all across our nation, around the world, this is a sacred season that begins 2,000 years ago when Jesus Christ was born. An angel declared to the shepherds tending their flocks, “Behold, I bring you good tidings, great joy, which shall be to all people. For unto you is a born this day in the city of David a Saviour, which is Christ the Lord.” (Applause.) There in Bethlehem, Mary and Joseph held in their hands the son of God; the light of the world; and, through Him, the promise of eternal salvation. No matter one’s faith or beliefs, the Christmas season reflects all that is best in the American spirit. This is a time of the year for rejoicing with our family and friends, for spreading charity and goodwill in our commitment all over this country in all of our communities, and for giving thanks for all of the blessings in our lives. We are especially thankful for the countless Americans who have given their time and passion to help those in need. Here in the audience today are a number of extraordinary foster families and guardians joined by the beautiful children they have welcomed into their homes. And beautiful children they are. Your devotion inspires us all. To every child in foster care: You are the precious loved one and gift of God. Thank you. Thank you. (Applause.) Very, very special. At this time of the year, we renew the bonds of affection between our fellow citizens, and we awaken the faith in our hearts that calls each of us to action. As we gather loved ones, our thoughts turn to those who are rebuilding their lives after devastating wildfires, destructive hurricanes, and terrible tragedy. We ask God to watch over this nation’s heroes, and to shed his almighty grace upon our nation. And we pray that America’s light will shine more brightly and stronger than ever. And it will. BREAKING NEWS: White House declares a ‘Lid’ following a sudden leave from the Christmas Tree lighting, meaning that the President won’t appear again today. White House aides still haven’t explained what happened and why they suddenly left. Side Note: When we were ready to leave the Ellipse, the Press Pool Vans were not loaded, so… (get out your tiny violins) We left them behind. The Press Pool, after an excruciating wait of 9 minutes (and a 4-minute van ride), got back to the #Whitehouse at 18:50:14. The Trumps’ safety deserves more concern than the inconvenience a back-biting member of the press corps experiences. One hopes that the 2019 tree lighting is free from threats, real or anticipated.